If you want your dog to be healthy you need to feed it the right amount. If you feed once your dog once it may consume the food readily and may not chew it well. If your dog does not digest its food well it would not get all the nutrients. It is sometimes best to divide what your dog needs in smaller portions to give it in many times per day. How often should you feed your dog? You should have a feeding schedule for your dog. This article will guide you how to feed your dog. Different dogs have different needs. The age of your dog may determine how it should be fed. You should feed your dog more if it is pregnant or lactating. How many times should you feed your dog? While your dog may look cute if it is fat it is not desirable. If your dog is fed too much it may have bone problems and may become obese until it becomes adult. Overfed puppies have problems growing up and that may manifest these problems when they are older. For example: You can feed your dog at around 6:00 AM then the next one would be at 12:00 noon then the last one would be at 6:00 PM. It is important when feeding your puppies is to allow them to digest the food well. By spacing the meals you ensure that the puppies would get the right amount of nutrients. You are feeding your puppies 3 times a day because it need more energy all throughout the day. If you feed it twice, the energy it gets from the meal would not be enough for the time period it is not eating. Puppies use the nutrients of the food also for their growth. Make sure you feed your puppies when they are most active. After 1 month you can feed your puppy dog food. You can feed your puppy three times a day until it turns 6 months. From 6th months you can feed your puppy twice a day until it turns 1 year old. You should feed your puppy at the start of the day for example at 6:00 AM then the second meal can be at a later time at 6:00 PM. By feeding your puppies twice a day with enough time in between your puppy would have energy when they are active in the morning and at night. At 1 year old you may feed your puppies adult dog food. they need to eat adult food because their bodies have reach physical maturity. Adulthood is when the dogs stop growing or getting bigger. Bone development for dogs end at 1 year. For large breed dogs, you should wait until it is 1 year and 3 months before feeding it adult dog food because large breed dogs have later skeletal maturity than other breeds. To prevent obesity you have to control how much your dog eats. You can control how much your dog eat by providing your dog a measured portion of what it needs several times a day. After knowing how much your dog needs daily you can divide it on how much you want to feed your dog. For example you could feed your dog half of what it needs two times a day. Don’t give your dog too much treat. Your dog should just consume treats daily at less than % of the total energy requirement. Pregnant dogs can be fed the same amount to adult dogs until 40 days of pregnancy, at the last 20 days the food amount can be increased to 20% to 30%. You can feed your pregnant dog’s puppy dog food because it has greater amount of energy per piece. You can feed your dog 2 to 3 times. It is important for milking mother dogs to get a lot of nutrients while feeding milk to its puppies. You need to increase the amount of food to 2 to 4 times of what the adult dog needs. You should let the mother eat freely whenever it wants to eat. Food should always be available near the dog. How often should you feed your dog is different depending on your dog’s circumstances. Growing up your puppies need more nutrients but you should feed it only 2 to 3 times. Pregnant and lactating dogs need more nutrients to support their health during a very important stage. So that your lactating mother can provide well to the puppies, food should be always available to your lactating dog. Adult dogs need to be controlled in terms of feeding to prevent them from being sick because they are overweight. 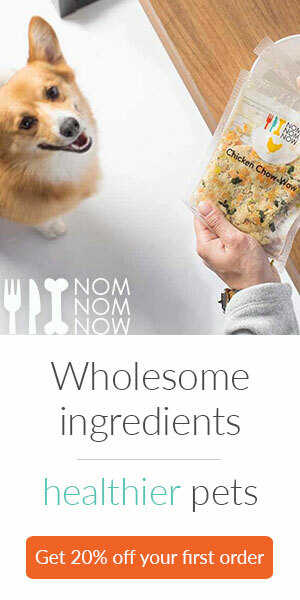 Feed your dog well so that it becomes healthy.